Place the dumbbells on the floor in parallel to each other. 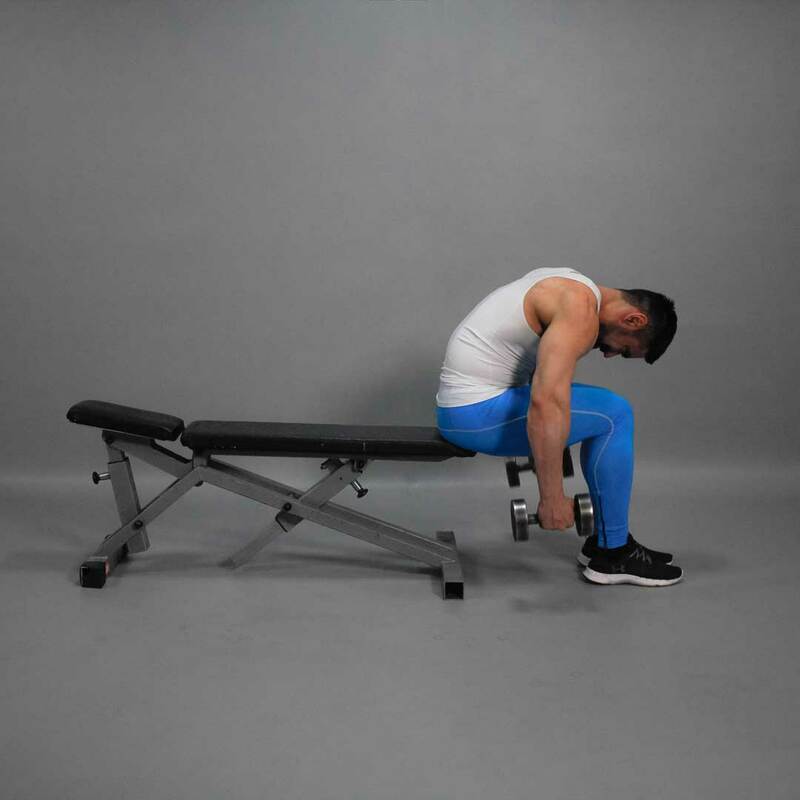 Sit on the edge of a bench, grab the dumbbells in your hands. The dumbbells should be placed behind your calves in parallel to each other. 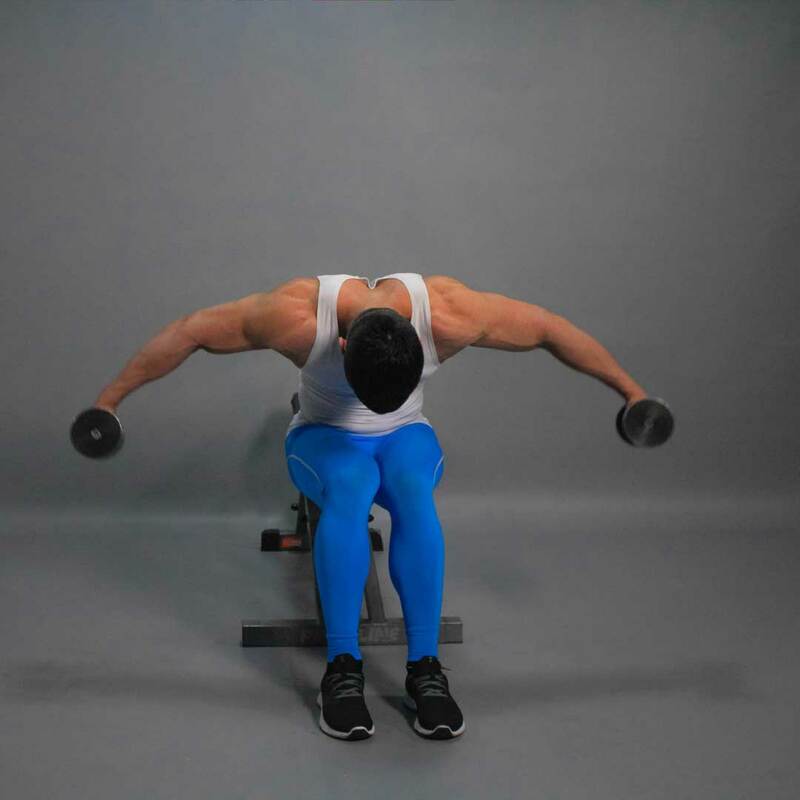 Keeping your body stationary, bend the hands at the elbows and lift the dumbbells to the sides. Performing the exercise, avoid any movement of the torso. 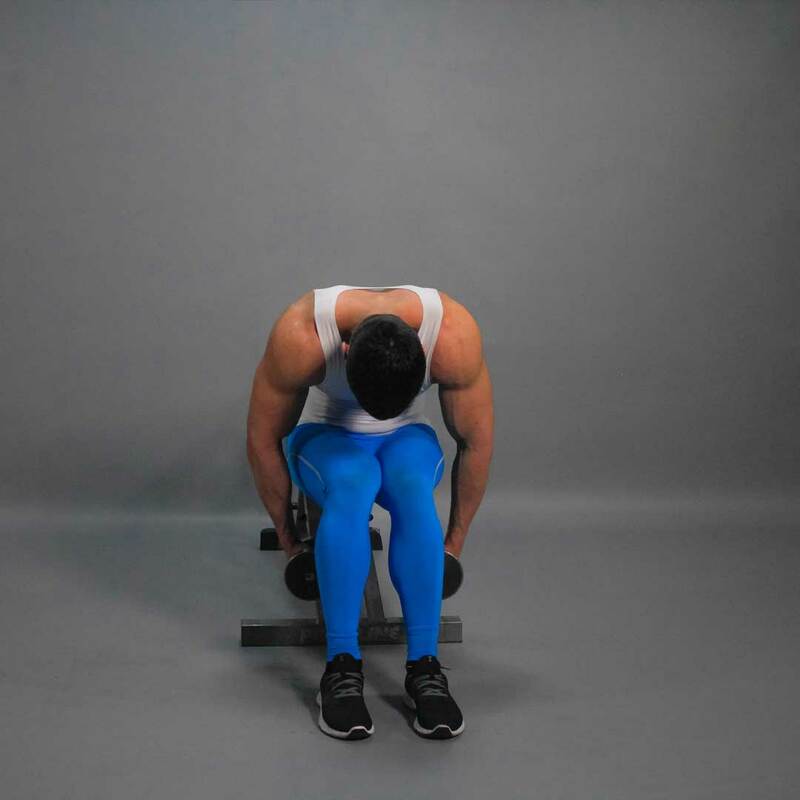 Hold the dumbbells in the top position for a second and slowly lower them down back to the starting position. Repeat the exercise for the prescribed amount of repetitions.